Virginia, also known as Old Dominion, is the 12th most populated and 35th largest state of US nation. 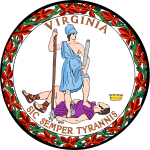 Colony of Virginia adopted the US Constitution and evolved in Virginia State to become 10th US State on 25th June, 1788. Virginia shares another name, Mother of Presidents, following its history associated with various presidents coming from Virginia State. Virginia registers the oldest legislature, Virginia General Assembly, in America. It is the largest exporter of computer chips. Its well managed as well as highly appreciated government policies are a result of excellent education system in State. It has a balanced economy rate, with unemployment rate of 6.3%, and has high median household as well as per capita income. What are the health standards in Virginia and what is the role of Virginia Board of Nursing? Preservation and safety of public health is the main motive of Virginia Board of Nursing. Virginia has comparatively high health standards than many other states but looking on future perspectives of health care & services, Department of Health in Virginia in association with Virginia Board of Nursing has started various indigenous nursing programs. These programs are approved and licensed by Virginia Board of Nursing. Virginia Board of Nursing is the supreme authority, which is authorized for licensing and certification of various nursing professionals in Virginia. Reviewing the nursing policies and laws to ensure promotion of nursing practice and standardizing the nursing programs are crucial board responsibilities. Division of Health Statistics under Virginia Department of Health provides vital information and reports to Virginia Board of Nursing. The board maintains various records and reports to review the health and clinical services in state at various intervals. Who are the Current Members of Virginia Board of Nursing? There are 13 current working members in Virginia Board of Nursing. These are all appointed on 4 year working tenure by the Governor of the State. Members can be reappointed only once, which means that maximum working tenure is 8 years. • Jane R. Ingalls- RN, CNS, Ph.D.